I’m delighted to announce that there are changes afoot for the annual Jane’s WalkCHICAGO event. I’m still going to be working on inspiring civic engagement and creative responses for cities, though! After five rewarding years as the City Organizer of Jane’s Walk, I am transitioning to a new role. I’ve become a member of the Advisory Board of the global Center for the Living City. 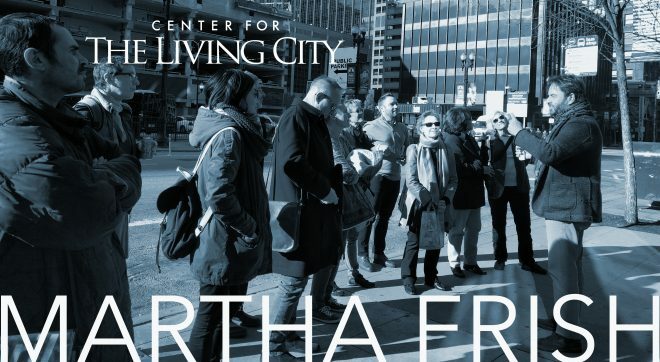 Both the Center for the Living City and Jane’s Walk are inspired by the work of Jane Jacobs, with the former having been founded in cooperation with Jane herself in 2005. 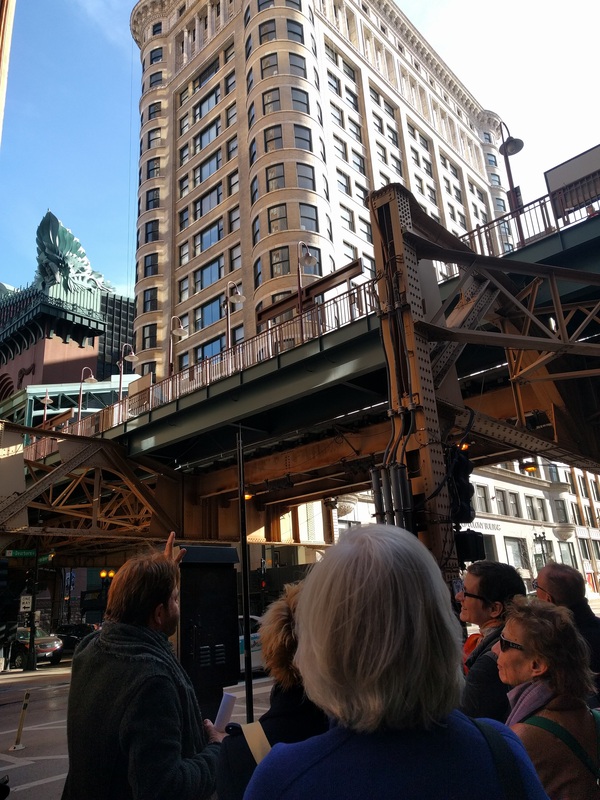 The Center’s Staff and Boards are populated with highly-respected urbanists from a variety of backgrounds, and I’m honored to be joining them to work on expanding their programs to Chicago and the Midwest. •	Jane Jacobs Walk – inviting people to organize walks in their communities throughout the year. Walks enable members of a community to discover and respond to the complexities of their city and environment through personal and shared observation. •	Telling vital stories: a city journalism workshop – The first of these events was held in Charlotte, North Carolina in September 2017. Journalists of all media to took part in a workshop focusing on journalism about cities and their complexities. The workshop included in-depth discussions in a small-group format of topics such as poverty, housing, transportation and economic mobility. Expert presenters included the Pulitzer-winning author of Evicted, Matthew Desmond, as well as author and NPR / PBS journalist Ray Suarez. We hope to offer this workshop in other cities in the near future. •	Observe! Patch program – Working with Girl Scout troops, we develop voices and skills through the power of observation, communication and action. It will start at the Manhattan Building, 431 South Dearborn, and we’ll start taking registrations for it on Eventbrite in a few weeks. This entry was posted in American Cities, Chicago and tagged cities, jane jacobs, Rolf Achilles, walking. Bookmark the permalink. Wow!!! all such good news…and so much to look forward to! !